We have a highly trained staff that provides our unique brand of professional swim lessons and exceptional service. All instructors are lifeguard, CPR, and first aid certified and required to participate in a rigorous 40+ hour training program. They gives students a foundation for life! Our curriculum, teacher training, and evaluation system are all designed to provide a total “Aquatic Education” and accommodates students of any age, ability, level of comfort or experience in the water. Lessons are scheduled in 30 minute intervals with no more than 4 swimmers per teacher. Parent & Me classes are a great introduction for babies into the swim class environment. Designed to create a great bonding experience for both the parent and the child, it also offers the safety of a parent’s presence in a completely new experience. This gentle introduction will positively influence your child’s relationship with the water. In this social group setting, an experienced instructor will teach you and your child how to be more comfortable in and around the water. This helps develop a foundation of skills necessary for swimming and water safety. Your child will learn the processes of water exploration, motion, movement, bouyancy and play. Private Lessons offer the instructor’s undivided attention and are often for fearful beginners or those not ready for a group setting. Students can benefit from these personalized classes and non-traumatic methods so they may progress at their own pace. Focus is on positive reinforcement, gradual skill development and individual centered teaching which enhances accelerated learning. Private Lessons range from Infant Classes to Adult Swimming and allow the most flexibility in scheduling. Our Group Lessons are composed of similarly skilled students of a similar age range. Only students deemed “group-ready” are eligible for group lessons. A complimentary swim skill evaluation is a pre-requisite to placing a student in a group class. Group lessons are offered at set times and days during the week, and have class size restrictions. Students interested in a group lesson must have the necessary basic skills required for their specific class level. Groups range from Parent & Me Classes, Toddler Groups, School Age and Stroke Development Groups. Students in these classes benefit from a social setting that offers camaraderie, learning interaction, safety, techniques, coordination and good-natured competition. Swim Club is a program designed for advanced young swimmers interested in conditioning or preparing for a competitive swim team and does not have group size restrictions. The Swim Club is divided into a Development Group and a Recreational Team. The Developmental Group focuses more on stroke improvement and refinement while the Recreational Team is dedicated more towards stroke work, endurance, cross training and team spirit. The Swim Club is reserved for our more advanced students needing a managed venue in which to practice, condition and learn. 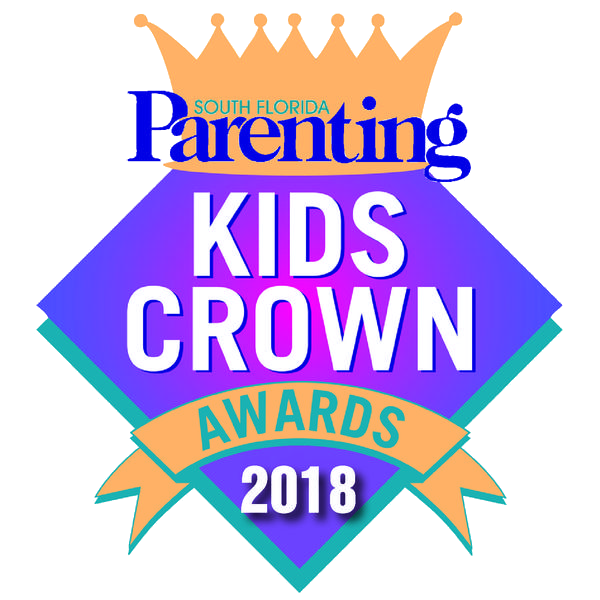 2018 Kids Crown Award Recipient for Best Swim Program in Broward County! My son has gotten better already. The coaches are terrific, the pool is clean, and the overall experience is great! I highly recommend. My son loves swimming there. The pool is warm. The teachers are friendly and nice. The environment is clean. Definitely recommend. I love the swim academy!!!! This is my second daughter that has learned to swim and they are great swimmers!!! I cannot say enough good things on The Swim Academy! We have been taking our daughter since she was 5 months (she is currently 18 months). It has been a great experience and she loves the water and the class. Coach Liza is amazing! You can see she truly loves her job and teaching the kids. Our little girl loves her. Highly recommend this academy for kids. Look no further!!! Best swim class ever! This was my 3 1/2 yr old daughter’s first class ever and she is so happy! Ms. Liza is amazing with kids. Very patient and knows how to treat them, makes them feel welcome and comfortable in the water. Highly recommended. They are very accommodating, the teacher is very prepared and professional, they care about their student learning and having fun too, I’m very impressed I was able to do a trial lesson with my 2 years old daughter, she was so happy. We're offering free Parent & Me Swim Lessons for babies between the ages of 3-6 months.